and here is a link for the Primary National Strategy I've used in the past. Someone asked me recently how to encourage young children to write so thought I would post some simple ideas. Children develop writing skills at different rates and it usually follows the ability to read. 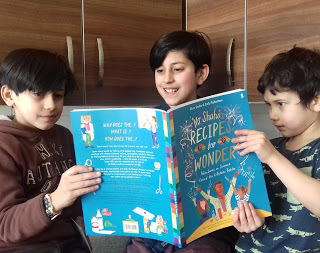 As soon as my children developed their motor skills and started 'mark making' I created simple writing opportunities such as writing shopping lists, simple recipes 'how to make a jam sandwich' or changing the ending to a favourite story. Before they are ready to begin any type of workbook I usually provide different writing activities to keep them interested. Activities surrounding a favourite book are a good idea. As soon as the children saw these 'Colour my Mosque' cards they couldn't wait to start. 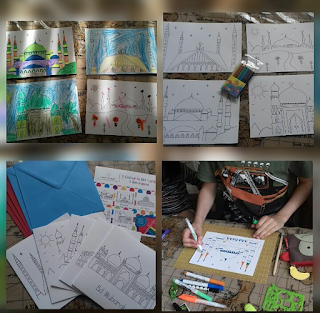 The pack contains four beautiful Mosque pictures on quality card and a pack of pencil crayons perfect for little hands. There is also a sheet of the same designs in colour so that children can copy and colour, my children decided to dive in and colour however they liked! Straight away I thought these would be great to take along to Jummah or any Islamic talks in my handbag to keep them entertained for a while. They are the perfect size for handbags so could be used when travelling in a car, plane etc. 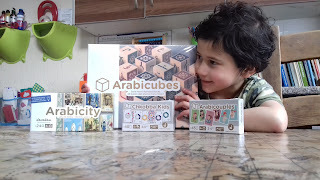 They can also be used as educational resources when learning and reading about the Masjid, as a Ramadaan activity or they would even make fantastic Eid gifts. I have heard that many home edders have paid a lot of money to achieve this award when it can actually be done as a family free of charge in a garden or local area you feel passionately about conserving. We chose our local park and I contacted the Park Manager. I organised for the children to make duck huts for the lake which they built up, painted, varnished and then they were placed in the island in the middle of the lake for the ducks in winter. They also cleared streams, identified pondlife, went on scavenger hunts, identified birds using the boxes around the park, wrote poems, articles, painted pictures, went on walks, etc. whilst recording their adventures in the logbook provided. The website has all the details and forms to complete. After submitting your ideas they will get in touch with you and send you extra curricular activity ideas, logbooks etc. 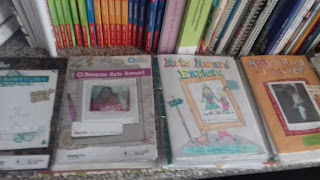 We started the Arts Award with a distance learning provider which worked out great as we were sent the logbooks to complete as we attended different Visual Art workshops and gathered our 'evidence' to record in the logbook. They are then sent off for moderation and we received certificates from Trinity College in London. There are quite a few Arts Award providers throughout the UK so if you're thinking about starting please check the website above. It's Thursday! End of their Home Ed week. They always seemed to be more relaxed and looking forward to Friday! The boys actually got up really early and were downstairs before me! They started their Maths - Fractions, decimals & percentages in their workbooks. Eldest did some higher papers from her Maths books. 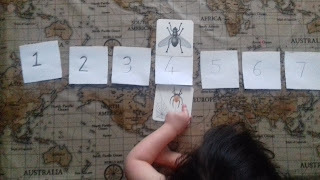 Youngest played with today's activity I had left out for her. Then they did English - writing For & Against arguments for the question 'Should animals be kept in zoos?' whilst eldest annotated her anthology listening to notes from You Tube to help. 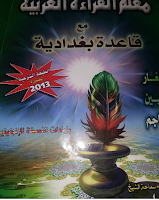 They each had their Tajweed lesson online through Skype. 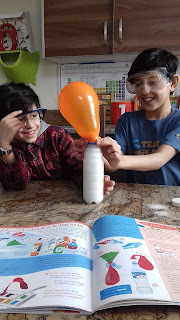 The boys then started a science Investigation (see below) and the eldest worked through her KS3 Science workbook about circuits for revision. The boys then watched some Geography clips on BBC Bitesize before lunch. 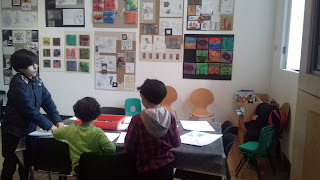 Then went to the Art Gallery for lots of lovely Art activities which was fun and surprisingly quiet! In the early days of our Home Ed journey, when I only had 2 children, I had plenty of time to sit and read lots of books, set up craft activities, take them to toddler groups etc. So what happens when you have more children? Many home edders I have spoken to worry about this but really want more children. In my experience things have definitely changed but it's not particularly got any harder. Whilst I am teaching the older ones, the little ones are getting on with activities I have left out on the table. I plan different educational activities everyday for them which keep them entertained. I can easily spend time with each child. But I always remember the early days and having so much time with the older ones especially reading lots of books to them and obviously I don't get that same amount of time anymore. So I introduced the Buddy System!!! How do Home Educated children socialise? This is something people always ask about....Lol... like it's impossible to Home ed because of this issue. Firstly I believe Home Ed kids are exposed to more people from all walks of life than school kids. How? well, they are not sat in a class of around 30 kids all the same age and sometimes gender day in day out Monday - Friday. My children easily make friends with children any age, race, religion, Home educated or School kids. They also understand how to get along with older people, the elderly for example when attending Friday prayers. Secondly they have more opportunities to socialise, they aren't sat at home working by themselves. 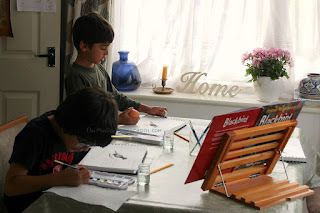 There are many Home Ed get togethers, workshops (Art, Science, Writing) etc. They also get the opportunity to go on more trips and work experience. Like when they helped at the local charity shop, taking real money from real customers. They also have many sports activities to attend. At the moment these are Taekwondo, Swimming & cricket. Do we really have to go out and buy expensive teaching aids? I have seen many lovely teaching aids on the market for various subjects and Montessori sensory play but I feel there are so many great natural resources we could use instead. I do have a few resources which I bought in the early days but just walking around the park there are pine cones, acorns, leaves etc that could be turned into great activities. Such as punching holes in leaves for early sewing or decorating pine cones with bird seed to hang in the garden. My children love to make ice decorations with 'treasures' they have found on a scavenger hunt around the park or local area by placing them into a bun tray with water and a piece of string. Freezing them overnight and in the morning hanging them up to see what happens. These kinds of activities are so simple, fun and it doesn't really cost you anything. As the children have got older I have introduced a timetable which we have stuck up on the cupboard they keep their learning materials. Monday - Thursday they cover English, Maths, Science & Arabic/Tajweed using books and doing other practical activities I research and prepare to go alongside. My eldest, who is at KS4 level, is happy to get out her books and study at the table whilst having free time to do her own thing. However, I find the younger ones learn better with a mixture of learning from books as well as practical activities and crafts.